This month, we look at a wide range of disciplines, with studies coming from sports psychology, sports nutrition, strength and conditioning, and biomechanics – and, as always, we finish off with a quick fire round up. The first overview will be free for everyone, but to read the complete September edition you must be a HMMR Plus Member. HMMR Plus is a new offering we have that gives users access to exclusive content like our article archive, webinars, online meet ups, and of course Sports Science Monthly. 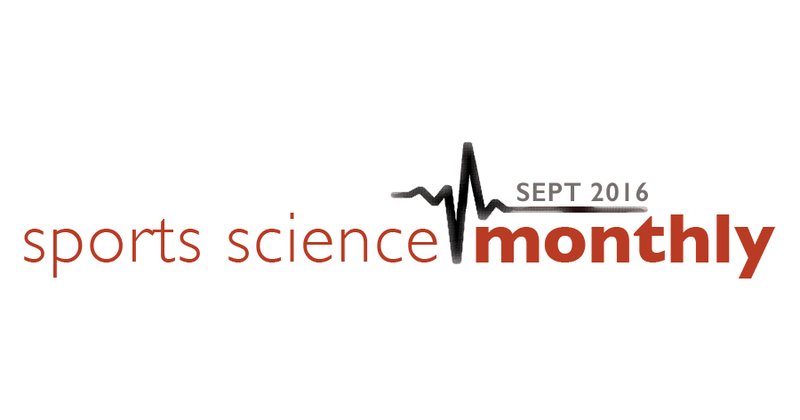 Therefore sign up now to gain access to Sports Science Monthly and more. To see what Sports Science Monthly is about, our April and May editions are available for free. With that said, let’s dive in! Quick Summary: There are important psychological differences between champions and non-champions, and coaches and support staff can have a big role in facilitating behaviours seen more commonly in high performers. Our first study this month comes from earlier this year, and looks at the differences between three categories of performers from both team and individual sports. The highest achieving category were those who had more than 50 national team appearances (team sports), or had achieved a top-3 World Ranking for 4 years, AND won at least 5 Olympic or World Championships medals (individual athletes); these high achievers were termed “Super Champions” (SC). The next level down, Champions (C), were still high level athletes, with less than 5 international caps (team) or ranked top-40 in the World with no more than one OG/WC medal (individual). Finally, we have “Almosts” (A), promising youngsters (youth internationals but playing in tier-2 (team sports) or World/European Junior medals (individual), with no senior success). To make this a bit personal, I would have been ranked as a C. The subjects were then interviewed a number of times using validated methods, in order to see what differences and commonalities occurred between the tiers. Commitment – SC/C’s were typically very committed to both sport and training, whilst A’s were less so; they particularly seemed to lack commitment to training, but enjoyed competing. Interestingly, the SC’s seemed to take part in a range of sports, indicating that early specialisation might not be ideal. Reaction to Challenge – SCs had an “almost fanatical reaction to challenge”, including injury and non-selection. This was often apparent from a young age, and they tended to view setbacks not as a roadblock, but as a driver of their success. C’s were a bit less driven in that regard, tending to accept setbacks slightly easier. By contrast, A’s tended to have a junior career that contained few, if any, challenges – which might have reduced their learned response to challenges and setbacks later in their career. Reflection/Reward – SC’s had a strong intrinsic drive, reflecting and analysing their performance after both competition and training. Cs also did this, but with a greater external focus, tending to look at how they were doing relative to their competitors. As’ were also externally focused, tending to rely on teammates or coaches for feedback as to their performances. Coaches/Parents – SC’s reported that they found their coaches were generally facilitative, and gave gentle encouragement; their parents also took somewhat of a passive role. For champions, the parents were likely to be a bit more hands-on, and they were more likely to report some friction with their coaches. For A’s, the parents were likely to be very involved, almost driving the process, and the same was true for their coaches, who were sometimes perceived as pushy; A’s were also less able to cope with the loss of an authority figure. One interesting aspect that showed no real differences between the two was trauma; there was a lack of universal trauma across all three categories, and trauma even appeared to occur at a greater incidence with the A’s as it did with the SC’s – this tells us that you don’t need “hard times” in order to be a champion. So how can a coach (or parent) utilise these findings to improve their practice? Well, the authors of this study note that SC’s and C’s handled challenges with an established attitude, as opposed to the As, who were more likely to be reactive. The authors state that this could have been down to the SC/C’s having coaches who focused more on being facilitative. SC’s/C’s were also more likely to undergo self evaluation, which perhaps should be encouraged by coaches. Of course, as with any after the fact interviews, as per the data collection here, the risk is that subjects give the answers they think the interviewers wish to hear, or that what they perceive to be important and what actually was important might not be the same thing. Similarly, we don’t necessarily know if the higher achievers do some of these things (such as self-evaluation) naturally, and whether teaching the behaviour will actually improve performance. Finally, we also run the risk of survivorship bias; we don’t know how many people possess the traits seen in SC’s but are not successful athletes. Nevertheless, the authors of this study are well-known and well-respected researchers in this field, so we probably should pay attention to their findings!